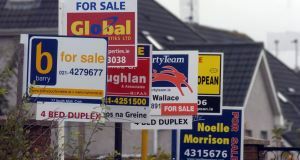 Despite sporadic reports of a "recovery" in the Irish economy, well over 200,000 Irish home owners are still in the uneviable position of finding themselves in negative equity in relation to their property loans. If you are in such a financial position and yet you really want or need to move to a new larger or smaller house, the future may look bleak. to grant them new mortgages, allowing them to move. The big problem here is, of course, that the negative equity home owners will be increasing the level of total debt they owe, but if they really feel the need to move, (and they are able to repay an increased total mortgage), at least there are options available to them. The table illustrates the loan to value multiples offered by the banks. 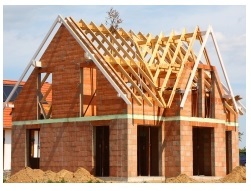 The loan-to-value (LTV) ratio is the term used by mortgage lenders to calculate the ratio of a loan to the value of an asset purchased, in this case the new house. 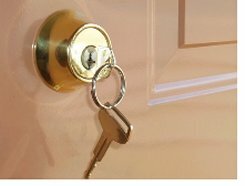 Negative equity home owners desperate to move always have the option of trying to rent out their present house and rent in a new location, but they may run the danger of losing their tracker mortgage if they do this. This summary is based on a recent article in the Sunday Independent Newspaper.